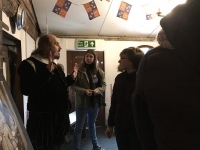 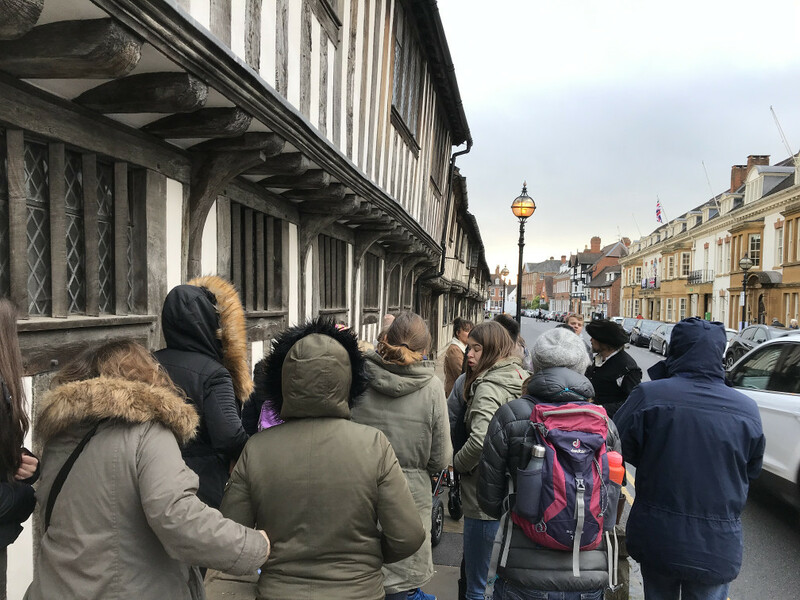 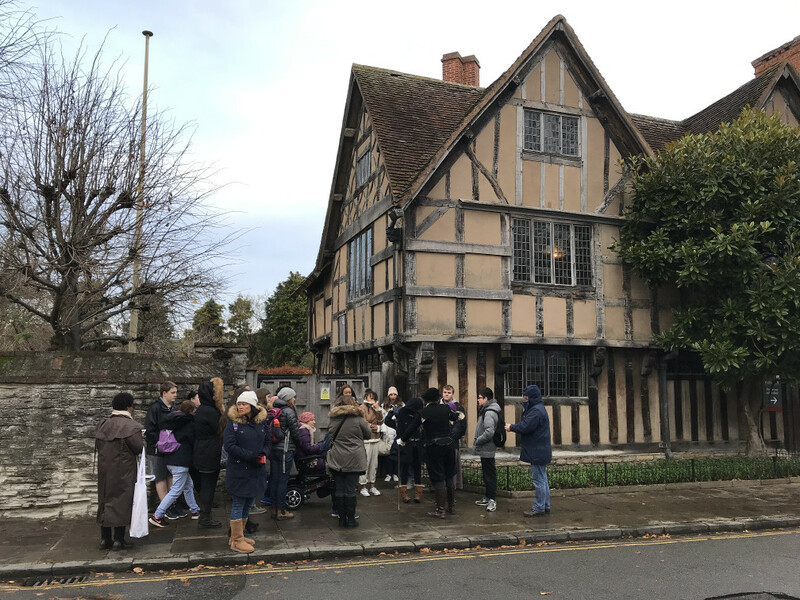 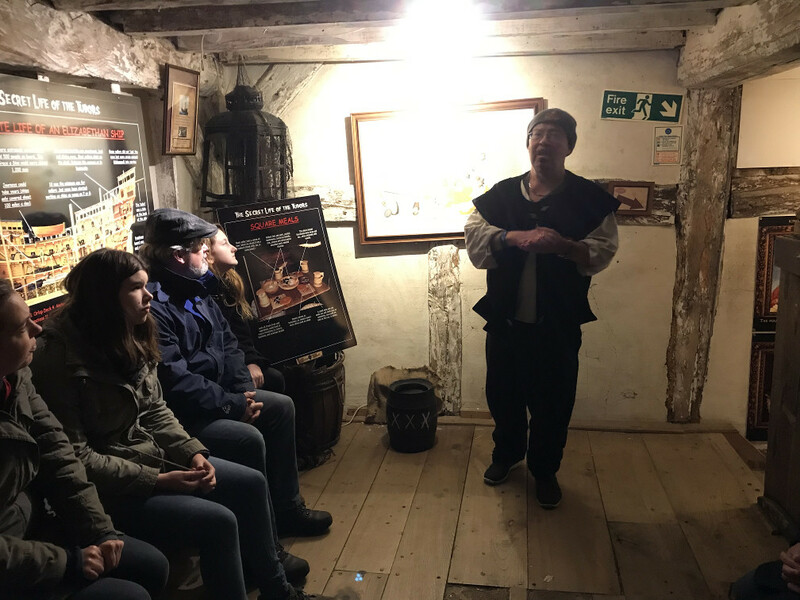 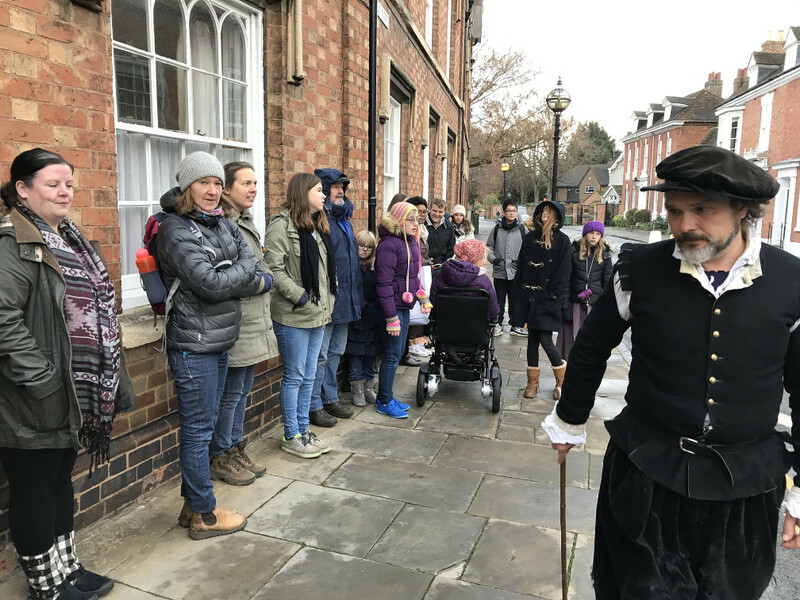 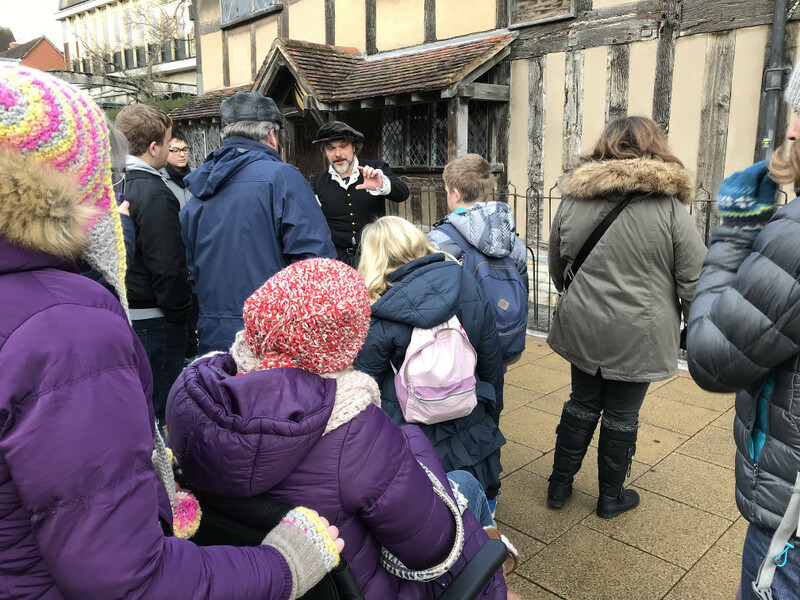 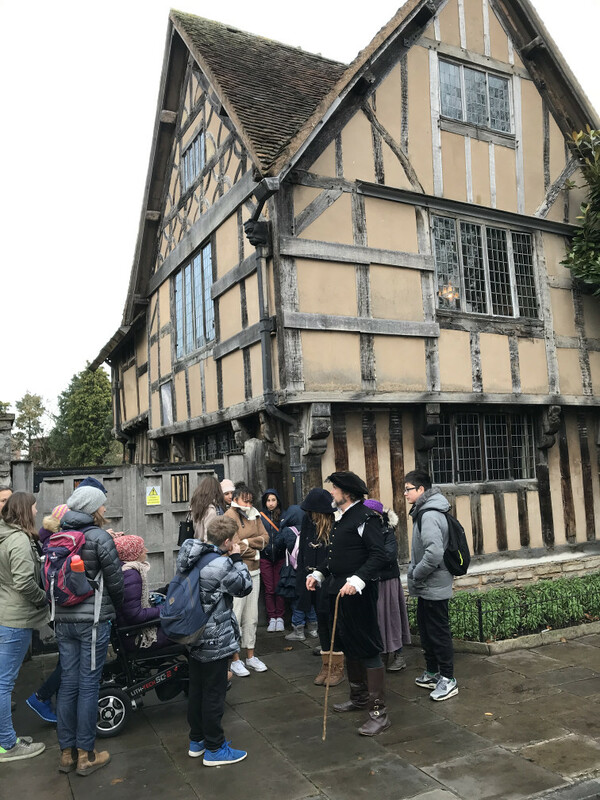 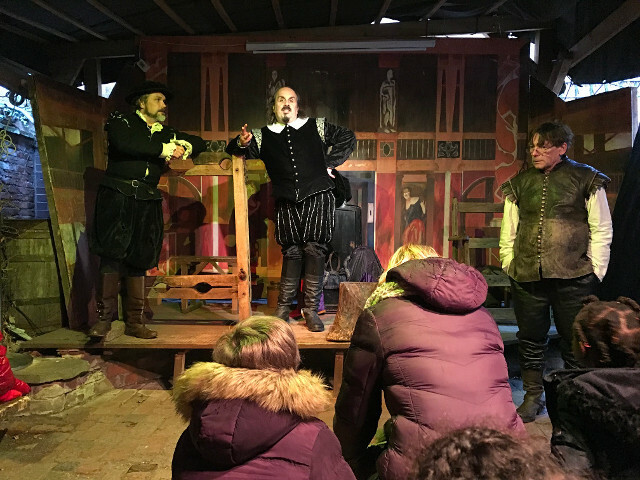 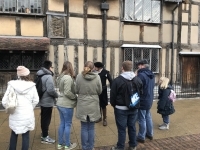 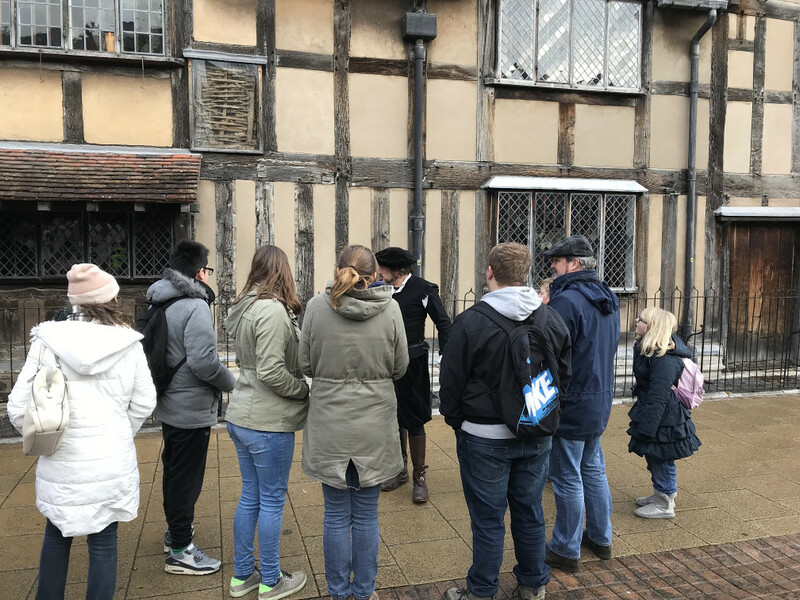 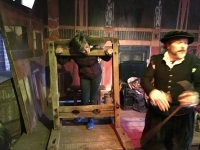 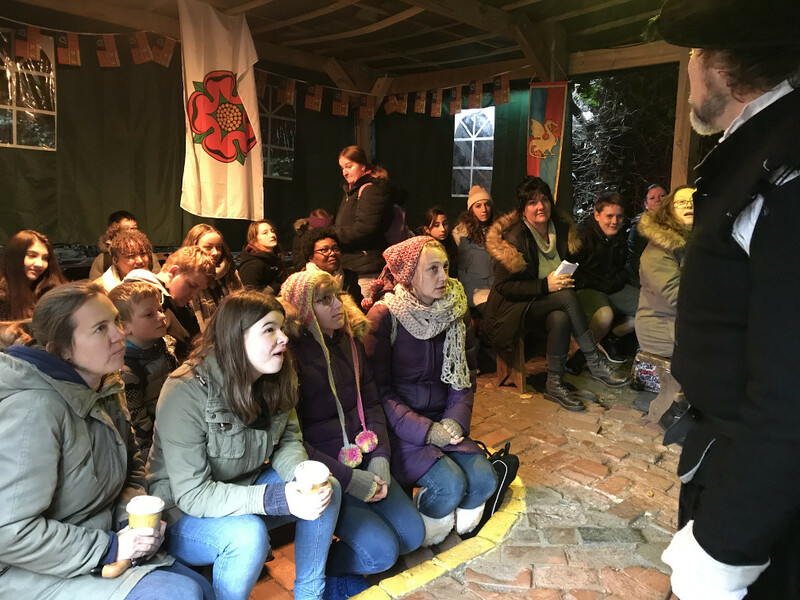 Still with our theme of “Cities” – this week we visited Stratford-upon-Avon, Shakespeare’s birthplace and a beautiful Tudor market town. 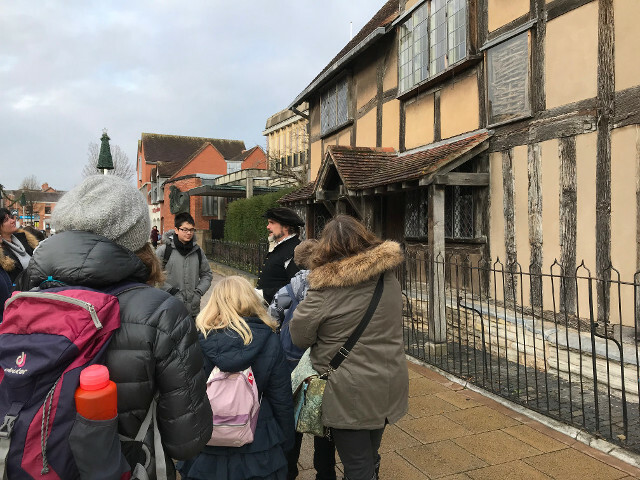 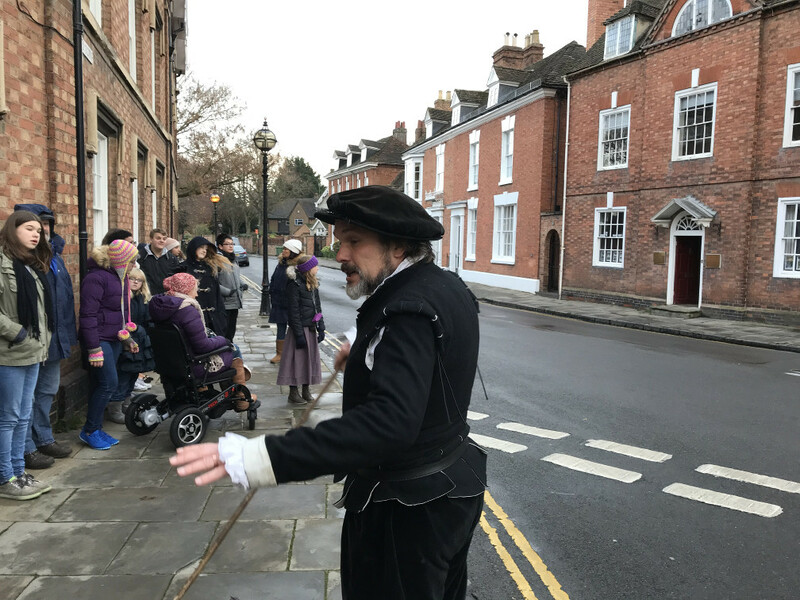 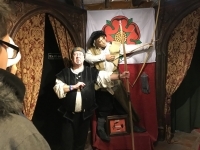 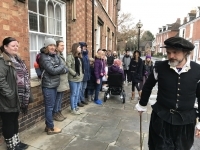 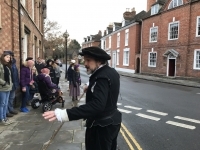 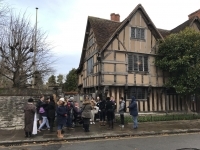 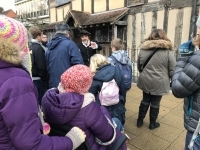 The alert reader will notice that Stratford isn’t strictly a city, but -“A rose by any other name …” City or not, Stratford-upon-Avon offers a fascinating glimpse into what urban living was like some 500 years ago. 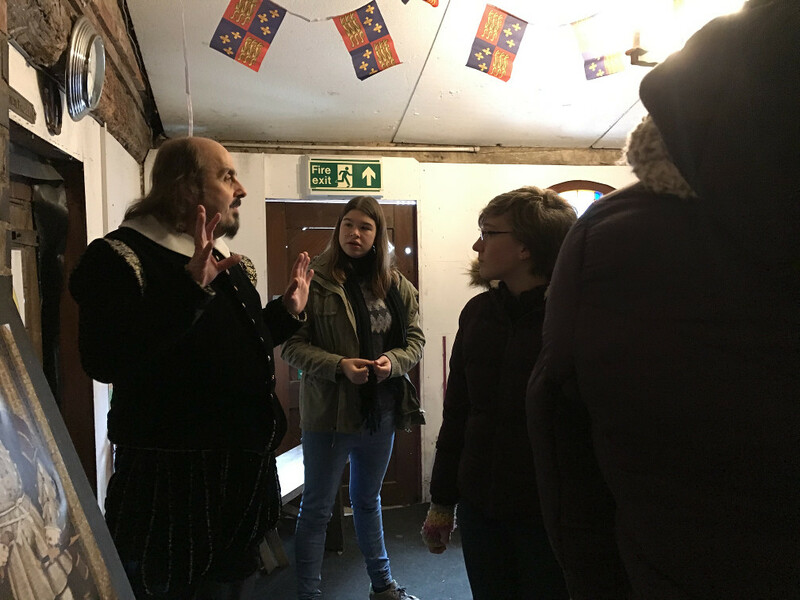 Our guide for the day was, of course, Master William Shakespeare. 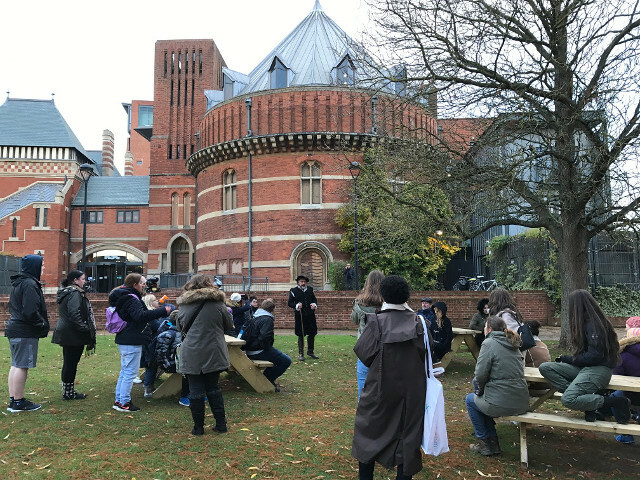 Outside the Royal Shakespeare Theatre – built to showcase Shakespeare’s plays. 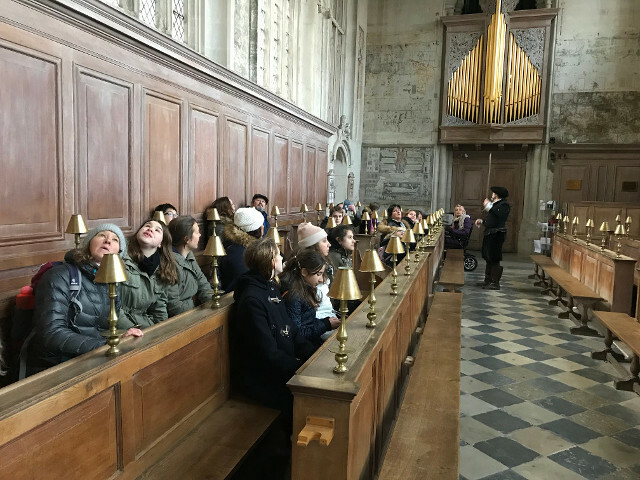 Here are a few more pictures from our visit.